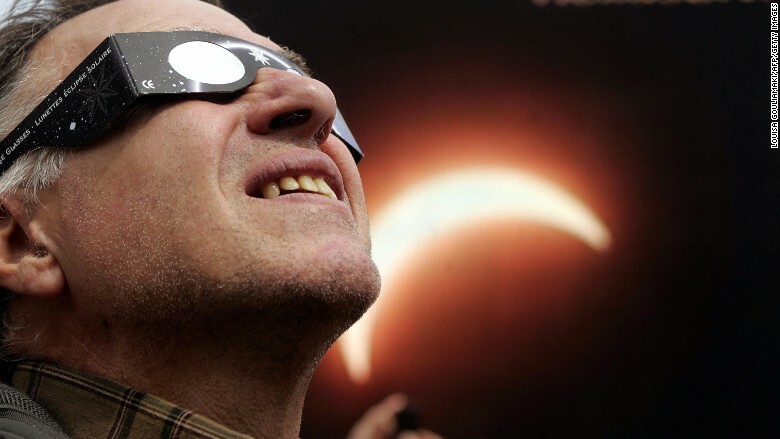 Amazon says it is taking action against potentially counterfeit solar eclipse glasses. The company said Sunday that it contacted and issued refunds to some customers who purchased glasses on Amazon that "may not comply with industry standards." Amazon has also removed a few listings for glasses on its website "out of an abundance of caution." It did not name any of those listings in its statement. To safely view the solar eclipse August 21, you'll need a special pair of ultra-dark sunglasses. There has been enormous demand for those kinds of glasses, which prevent the permanent eye damage that the sun's rays could cause. But that demand has been followed by reports that knockoff eclipse glasses -- which may not provide adequate protection -- have flooded the market. The American Astronomical Society said last week that it updated its safety advice "in response to alarming reports" of unsafe glasses selling online. The organization says buyers should be skeptical of glasses even if they're stamped with an ISO seal, which has been used in the past to indicate which glasses comply with standards set by the International Organization for Standardization.